Dottie's Magic Pockets - The NEW Book! Who's In Your Family? is led by Dottie and her gang of friends - Motilda The Mouse, Randal The Beaver, James The Flower and Uncanny The Singing Can. 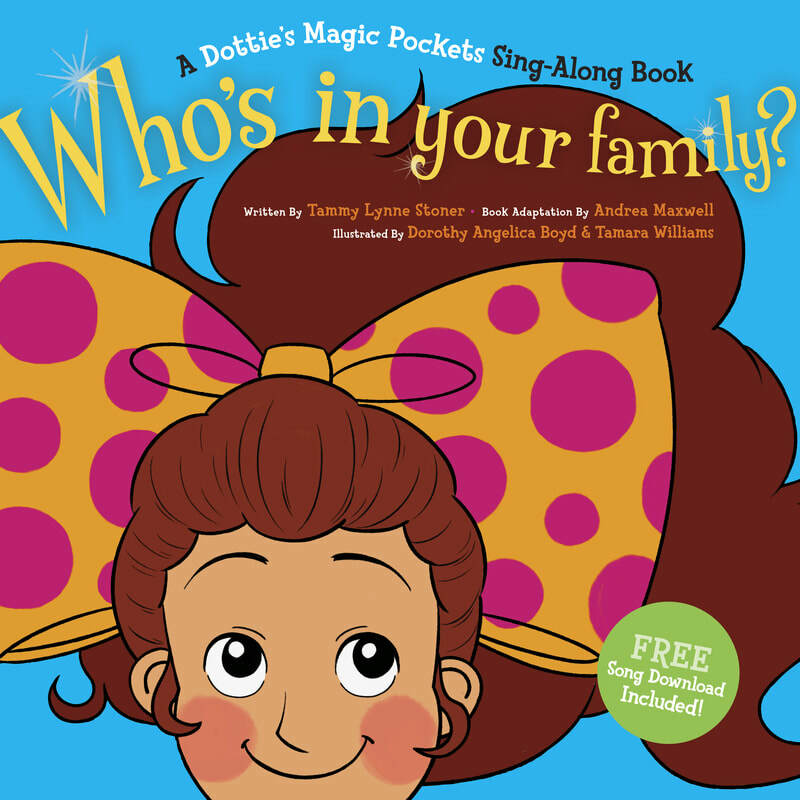 Dottie starts off the the adventure by asking her Magic Pockets what song they should sing. The answer is Who's In Your Family? A catchy song that explores the many kinds of families that exist in our world. (FREE download below) The book is filled with colorful images all kids can relate to – families with two moms, one dad, three aunts or a Rooster who wears pants! It’s fun, engaging, and helps kids understand and appreciate all kinds of unique families.